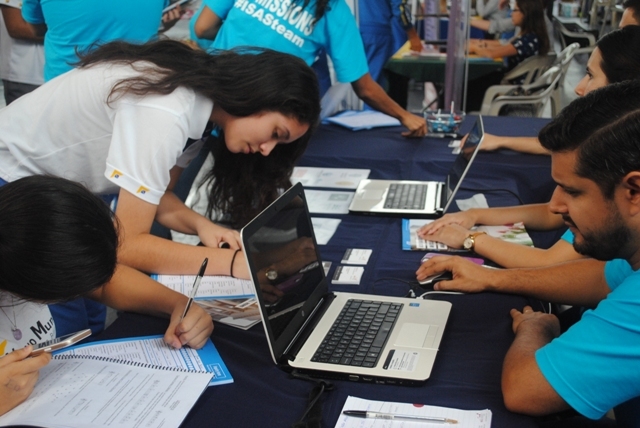 Last Wednesday, the ISAS International Admissions team, based in Ecuador, attended their first student fair that will mark the beginning of their Latin American Admissions and Student Recruitment Tour. Taking their home country as a starting point, the team of experienced advisors are set to visit high schools, colleges and universities around Latin America promoting their International Student Admissions Service, powered by BigChoice Group. The event, held in the precincts of Nuevo Mundo High School, welcomed both local and international institutions, among which the ISAS team was well received by the students. The team were able to introduce themselves to students, showcase the universities they work with, as well as promote their services as a powerful tool for international students to pursue their international education goals. The ISAS team will continue with their tour visiting institutions in the main cities of Ecuador before travelling to other Latin America countries.